I have a few items from Texas Irons which is a company that sells high quality grilling items, so when the company asked if I'd like to try out the BBQ gloves, I was pretty sure I'd like them. 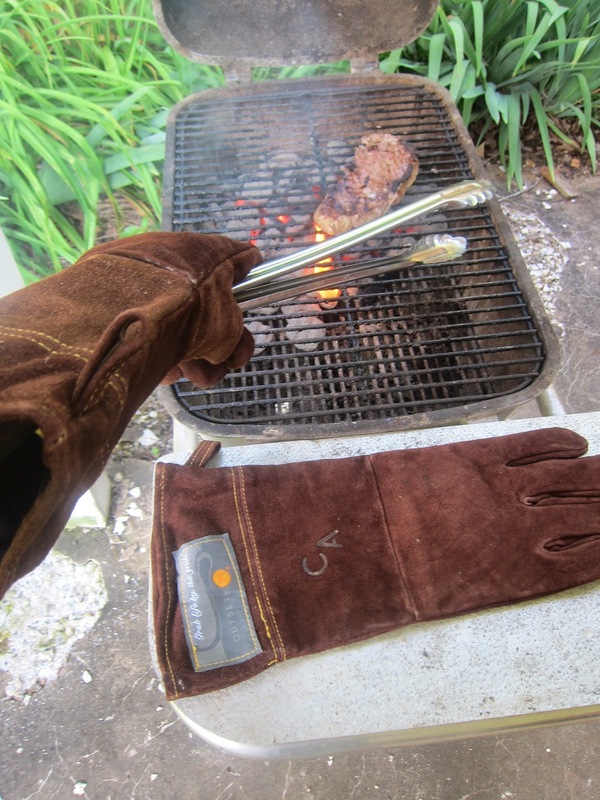 Most likely, the Texas Irons grill gloves are meant for men (since so many more men grill). I do have long fingers (like palm a basketball hands), but my fingers are slim. I wasn't sure how well leather barbecue gloves would work out, but the cotton lining had plenty of "give" and cushioned around my fingers. I could tell the glove could stretch, but it worked just fine for me. I could move my fingers without any issues even when using grill tongs. These grill gloves are long and go close my elbow but not too close. The protection is great but not over the top even on a female. One thing I love about the grilling gloves is the smell. I suppose the wonderful smell will go away after a while, but the gloves smell kind of like a new car with leather when I breathe in. I held them up to my face and just enjoyed the smell while I was grilling. Heaven. Another special thing about Texas Irons Grill Gloves is also that they brand on three letters - or a quite short name. 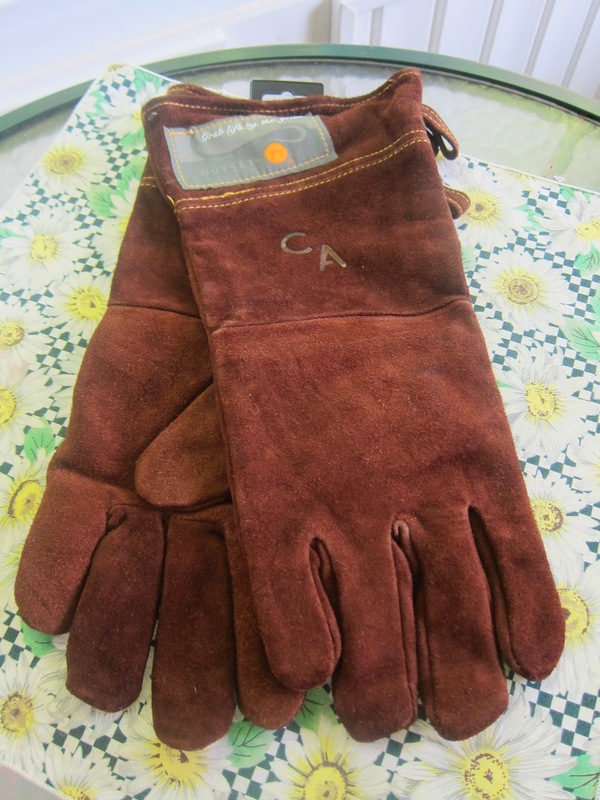 My gloves have my initials CA branded in. I don't know if anyone else would notice, but it's a special touch. I'm not stuck with "man of the grill" and stuff like that. I'm very particular about grilling gloves. I buy good ones, because I don't like to get burned. Mostly I get leather gloves for cooking outdoors. The Texas Irons outdoor cooking gloves are excellent. If you need high quality grill gloves or want to get a male friend, husband, or father (or a female grilling buddy) some nice grilling gloves, I am totally impressed with these gloves. Here I am grilling a steak and using one grill glove. I'm home alone this week, so I had to make a selfie with my other hand. But, you get the general idea including the brand of my initials on the Texas Irons grilling glove on the tray area.